The top hotel in the area, with whom we have had a good working relationship for many years. The staff are all well trained and could not be more helpful. An excellent choice for your wedding ceremony and reception. A wonderful and very popular venue for receptions, easy access and good parking. 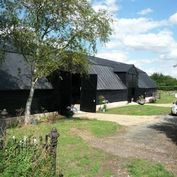 We have only had good reports about Smeetham Hall Barn and have always found the staff most accommodating. Who wants to get married in a castle? You do? Well this is the one to choose. Excellent reports and many famous people have been married in these fabulous settings. One of our Favorite destinations. Superb location right next to the church.The owners have worked hard to make this one of the best Wedding venues in the area. Well worth a look. For more information on all our services please contact us here at Elite Private Hire on 01787 881212, or by email at elitetaxis@msn.com and we will be happy to help. We look forward to hearing from you.